In a few short steps, you can make Breaking Israel News your homepage and download a free and exclusive Israel inspiration photo eBook. 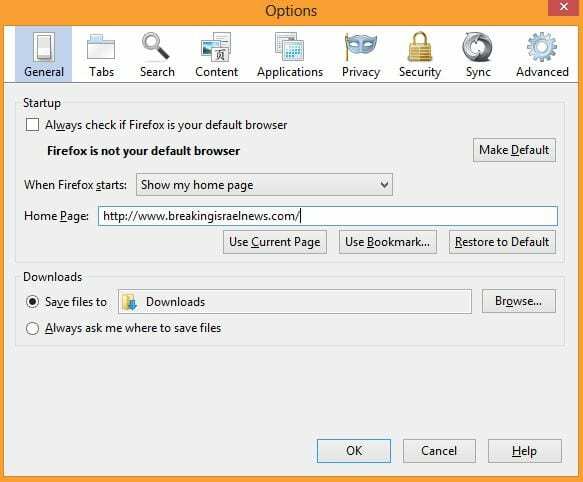 Below are step-by-step instructions on how to set BreakingIsraelNews.com as your homepage for Internet Explorer, Google Chrome, Mozilla Firefox and Apple Safari users. Step 1. Open Explorer and go to http://breakingisraelnewscom.kinsta.cloud/. Make sure no other tabs are open. Step 2. At the top right of your page, click the “Tool” icon (last icon). Step 5. Congratulations! You’ve just made Breaking Israel News your homepage. You can now keep up to date with the latest news from Israel from a Biblical perspective. Click here to download your free eBook. Step 1. Open Chrome and go to http://breakingisraelnewscom.kinsta.cloud/. Make sure no other tabs are open. Step 2. 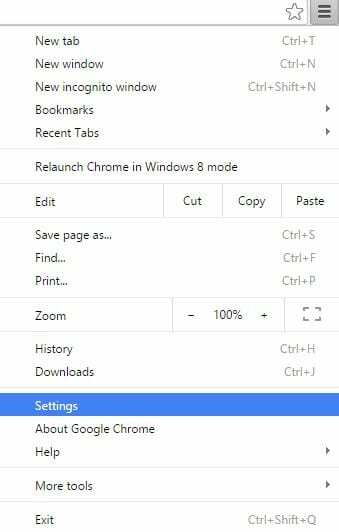 At the top right of your page, select the “Customize and Control Google Chrome” icon. Step 4. A new tab will open. Proceed to the second set of options, “On startup.” Select the third option, “Open a specific page or set of pages.” Click on the “Set pages” link. Step 5. A pop-up will appear asking what URL to enter to set as your homepage. Select the “Use current pages” option which should automatically enter the website of Breaking Israel News. Should that fail, you can manually enter the URL – http://breakingisraelnewscom.kinsta.cloud/ into the field. Step 6. Congratulations! You’ve just made Breaking Israel News your homepage. You can now keep up to date with the latest news from Israel from a Biblical perspective. Click here to download your free eBook. Step 1. Open Firefox and go to http://breakingisraelnewscom.kinsta.cloud/. Make sure no other tabs are open. Step 2. 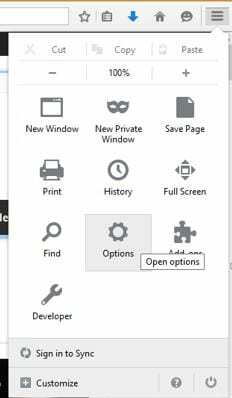 At the top right of your page, select the “Open Menu” icon (last option). Step 4. A pop-up will open. 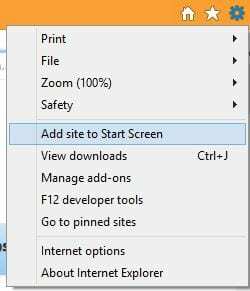 Select “Show my home page” in the drop-down menu for the “When Firefox starts” option. Select “Use Current Page” to automatically insert the Breaking Israel News URL. Should that fail, you can manually enter the URL – http://breakingisraelnewscom.kinsta.cloud/ – into the field. Step 1. Open Safari and go to http://breakingisraelnewscom.kinsta.cloud/. Make sure no other tabs are open. Step 3. 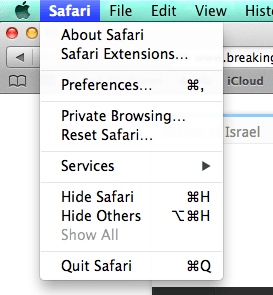 A pop-up will appear.With Breaking Israel News open, select the “Set to Current Page” option. Should that fail, you can manually enter the URL – http://breakingisraelnewscom.kinsta.cloud/ – into the “Homepage” field. Exit out of your settings to save changes. Step 4. Congratulations! You’ve just made Breaking Israel News your homepage. You can now keep up to date with the latest news from Israel from a Biblical perspective. Click here to download your free eBook.